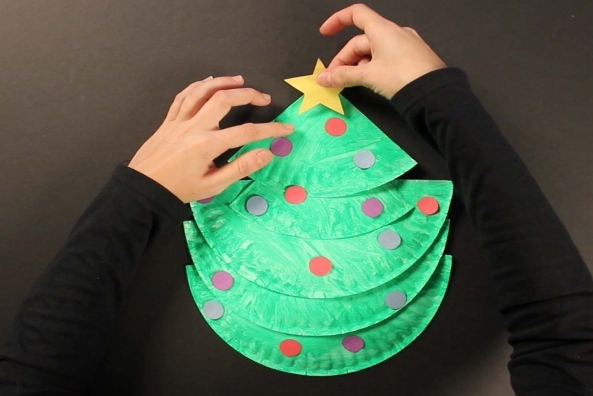 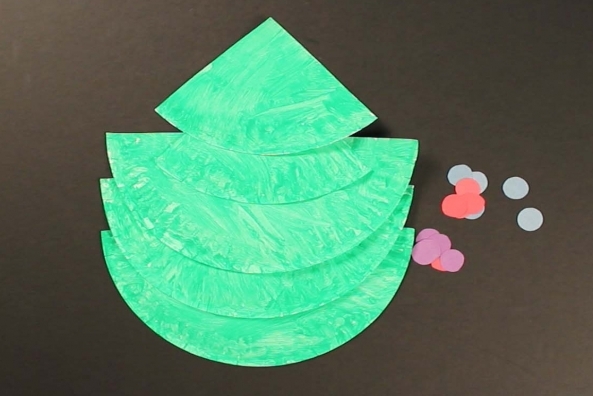 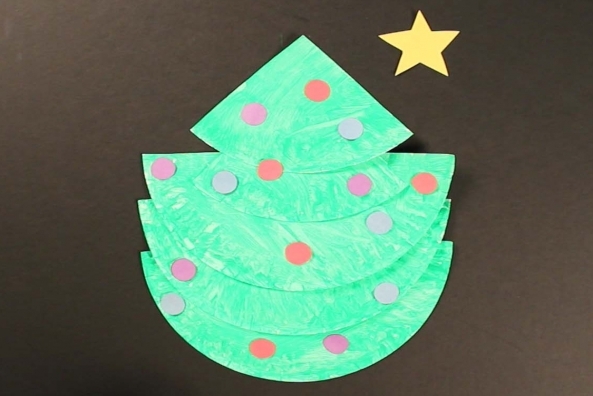 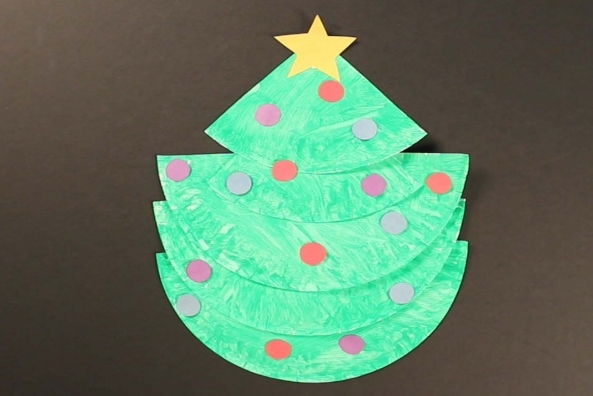 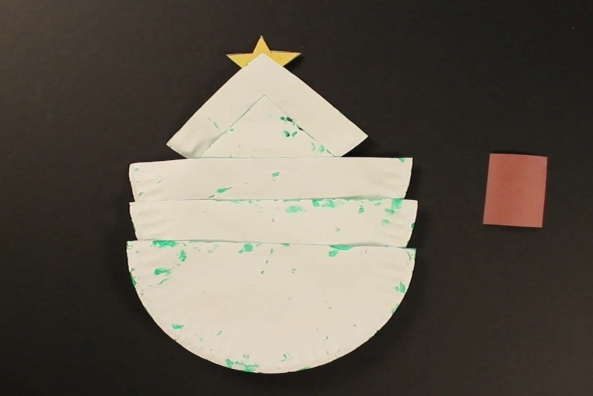 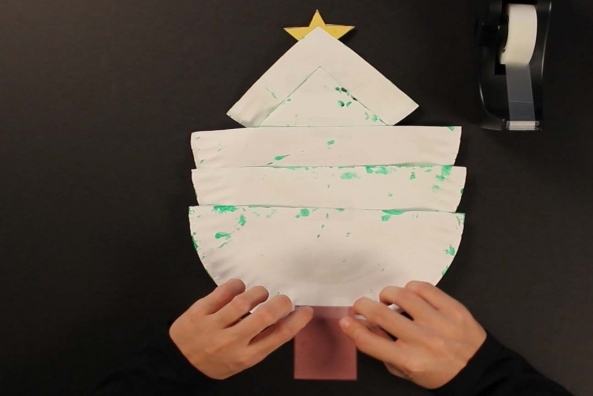 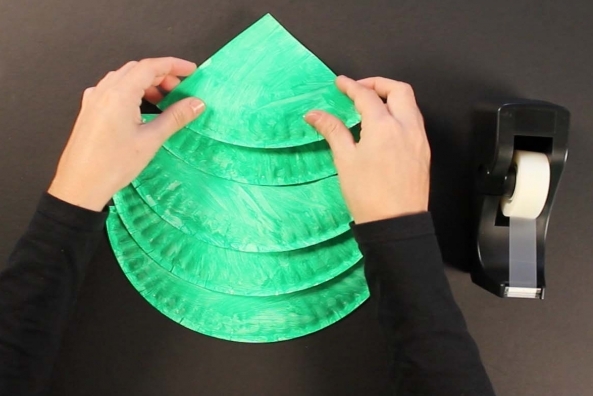 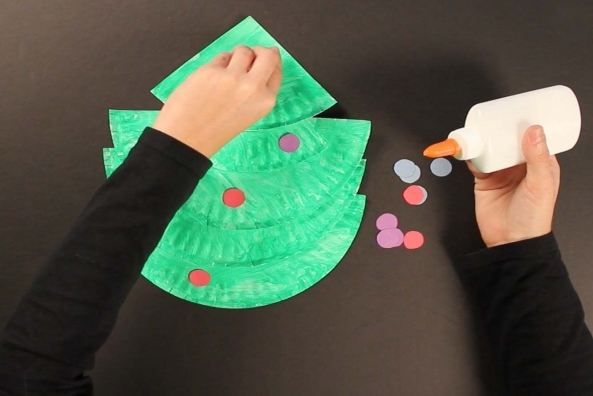 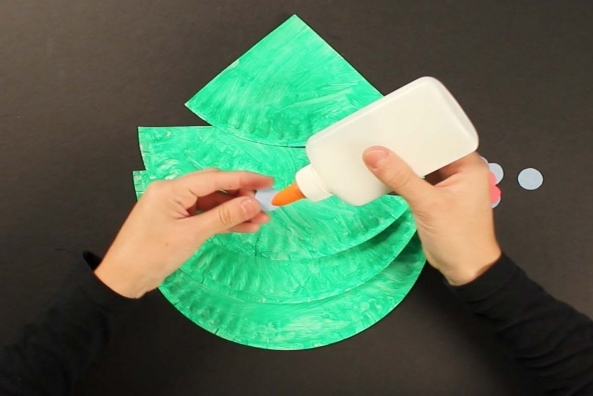 Have fun decorating a Christmas tree any time of year with this neat paper plate craft. 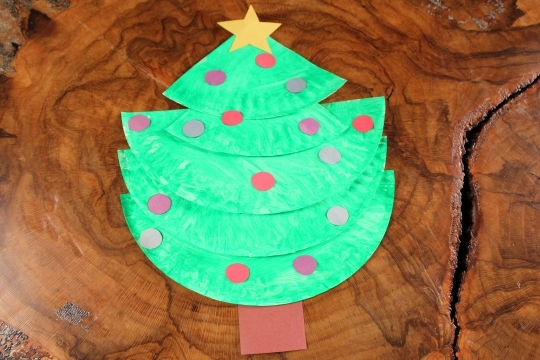 Find out what makes a Christmas tree perfect! 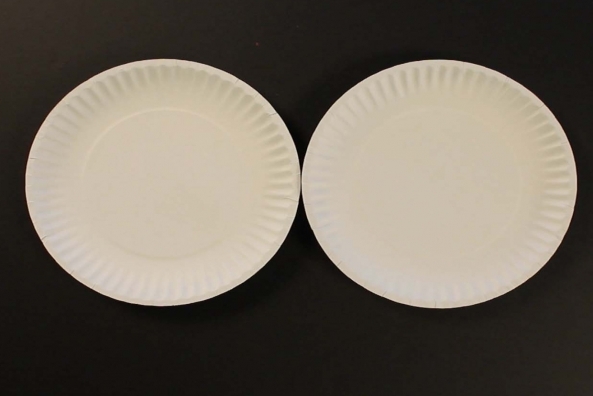 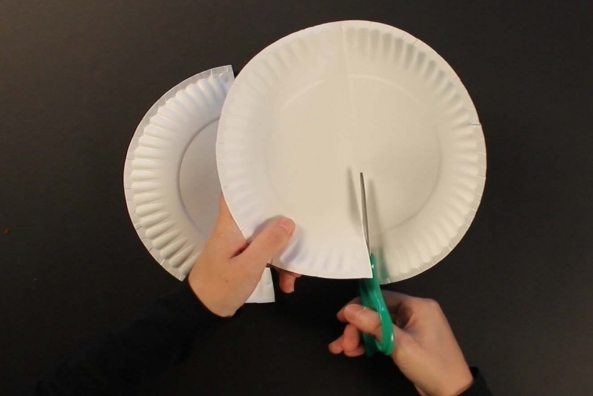 Cut two paper plates in half. 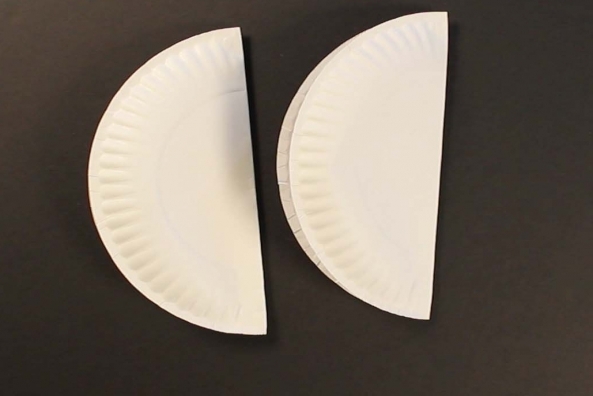 Take one of the halves and fold it in half. 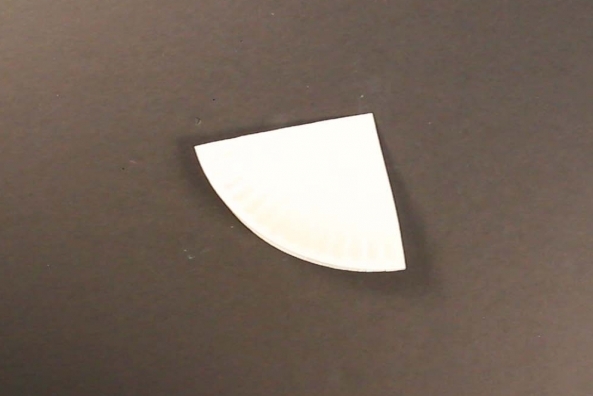 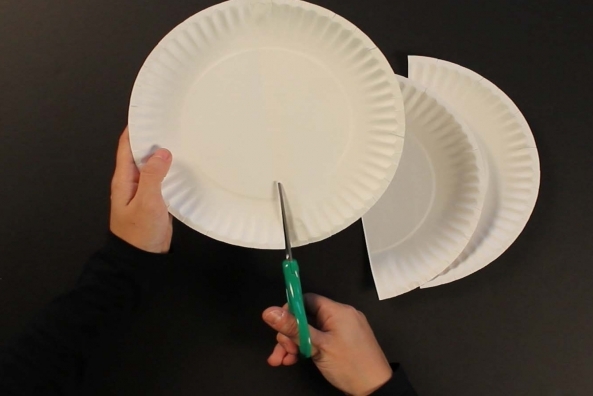 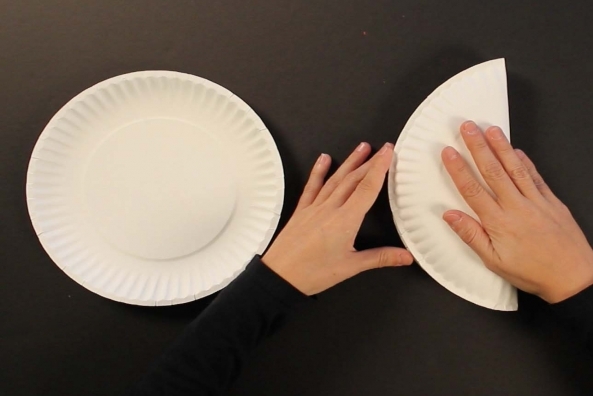 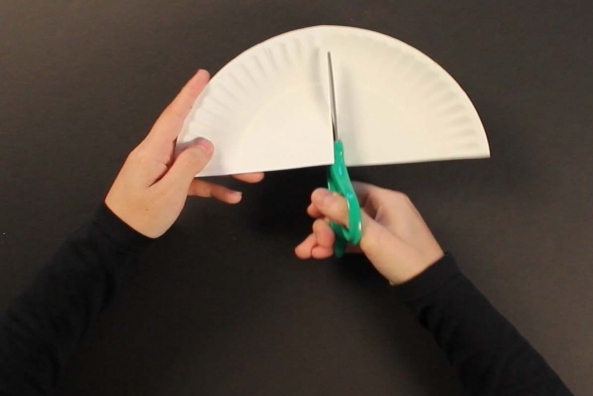 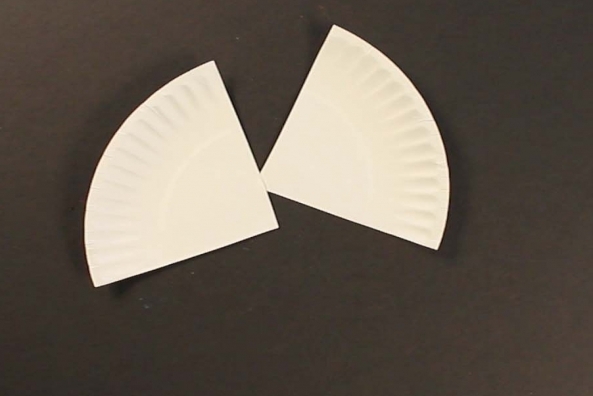 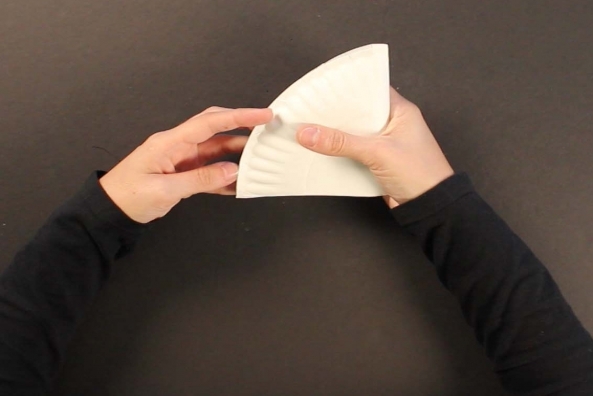 Cut this half of a paper plate in half. 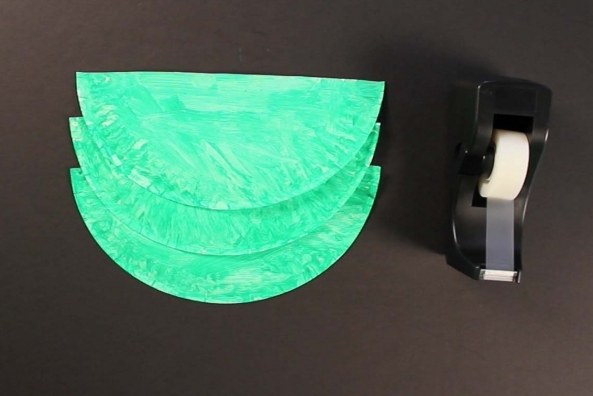 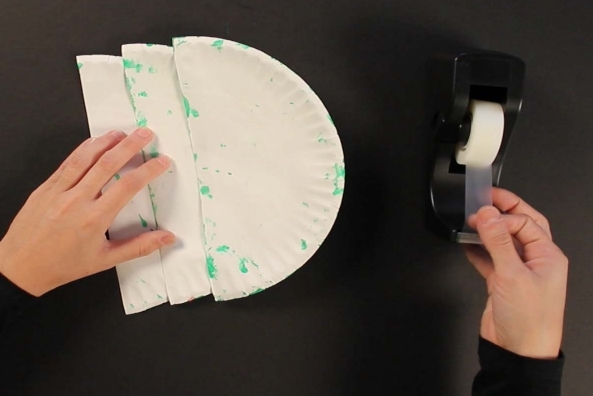 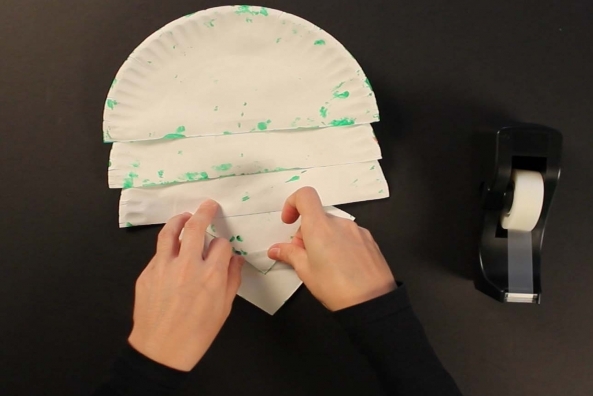 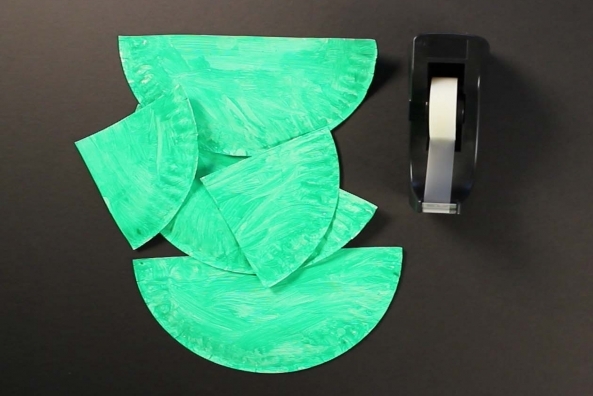 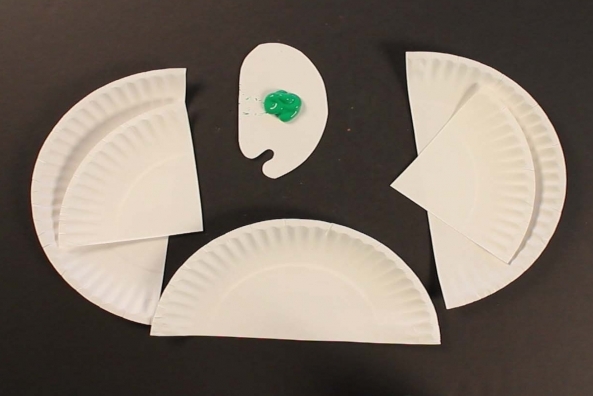 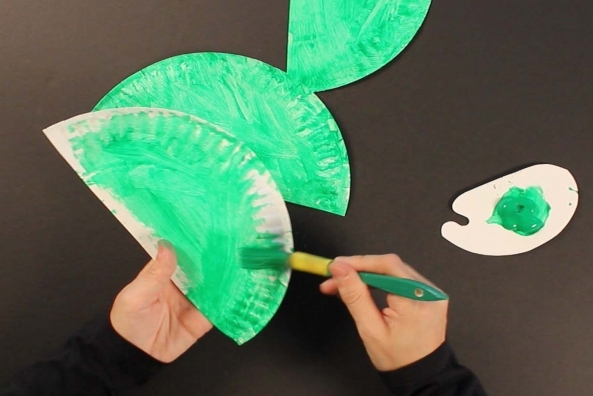 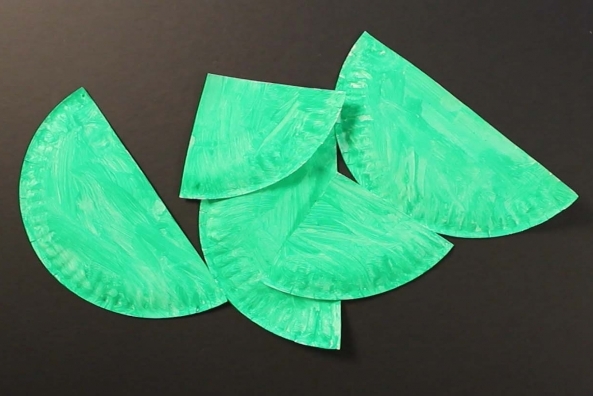 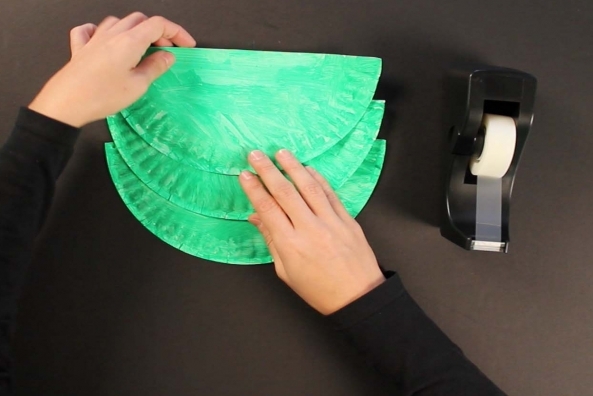 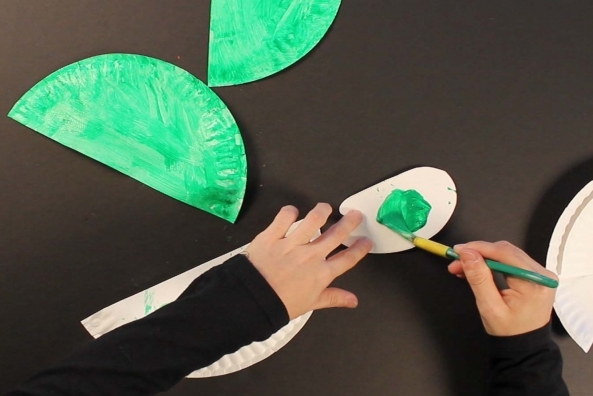 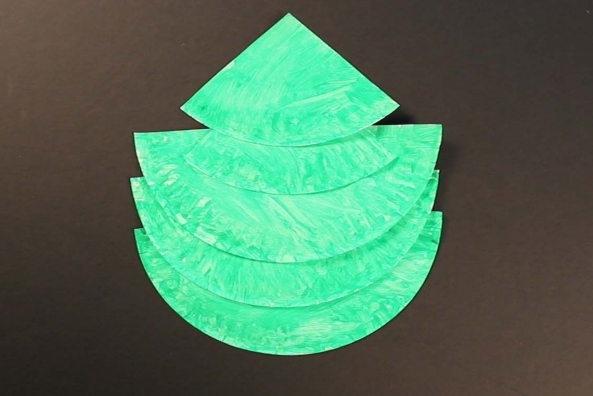 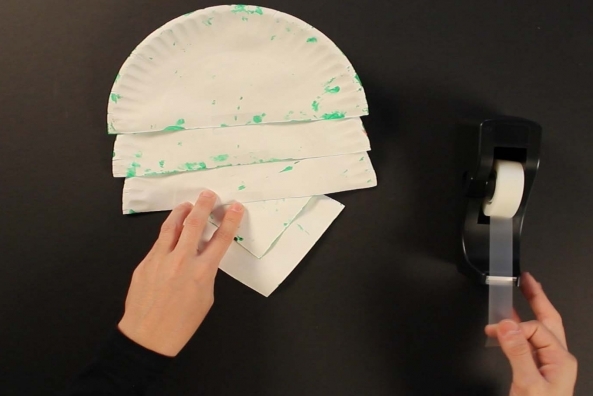 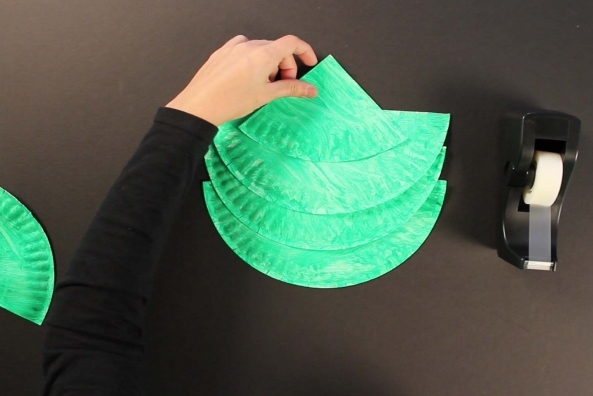 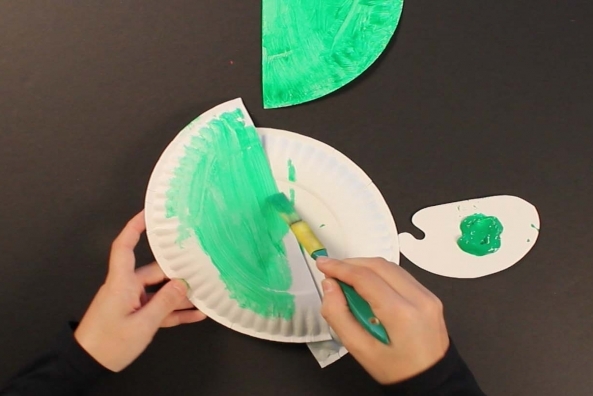 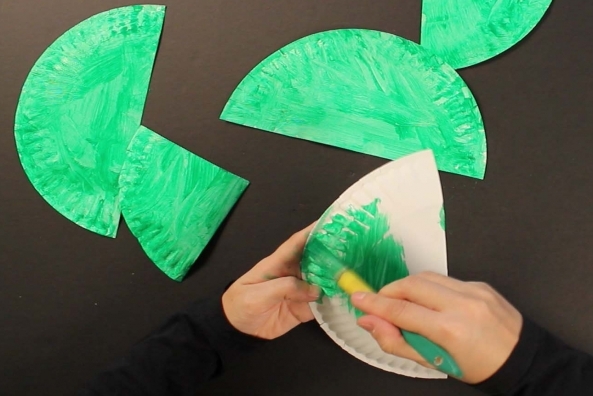 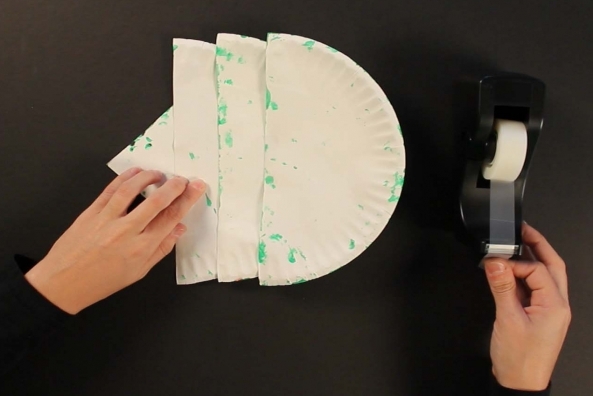 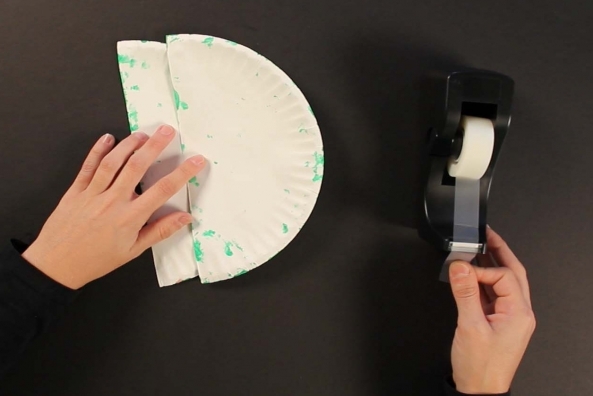 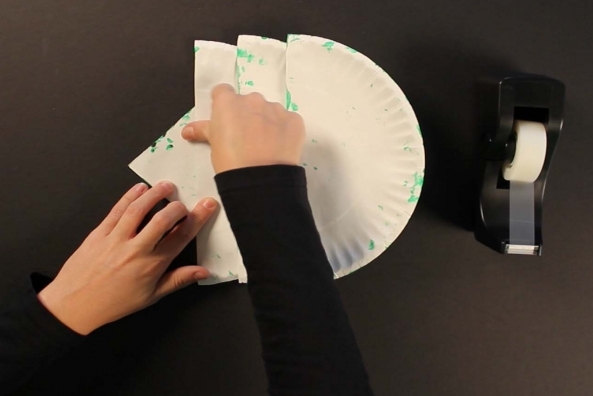 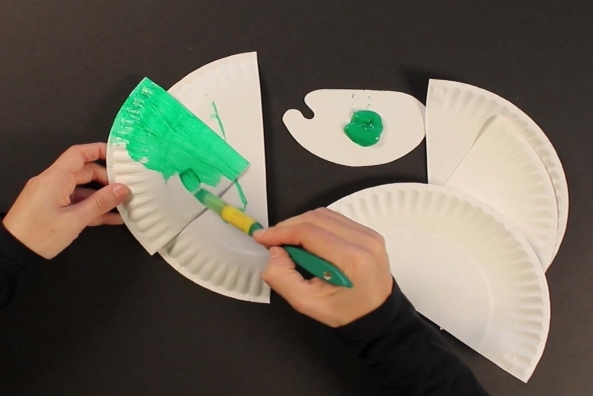 Paint all of your paper plate pieces green and let dry completely. 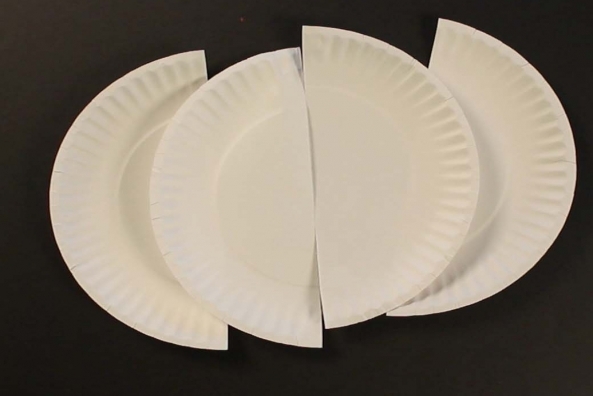 Using the center circle of your plate pieces as a guide, begin stacking the three full halves and secure them with tape. 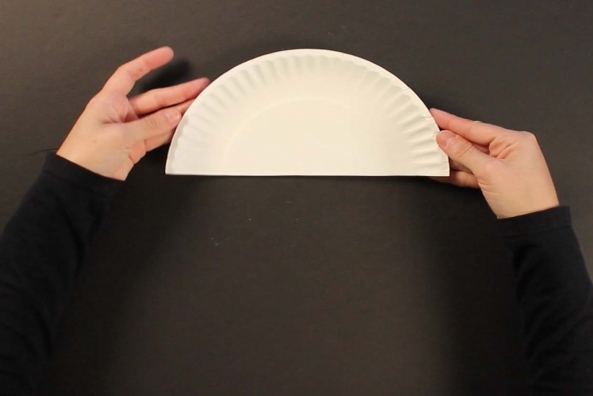 Place one of the triangular paper plate pieces onto the top of your formation and secure it with tape. 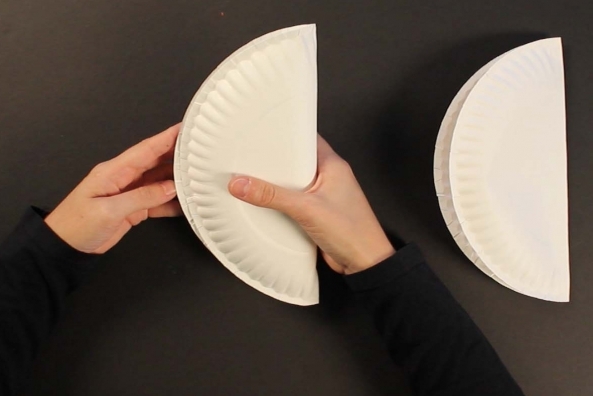 Place your last triangular paper plate piece on top and secure it with tape. 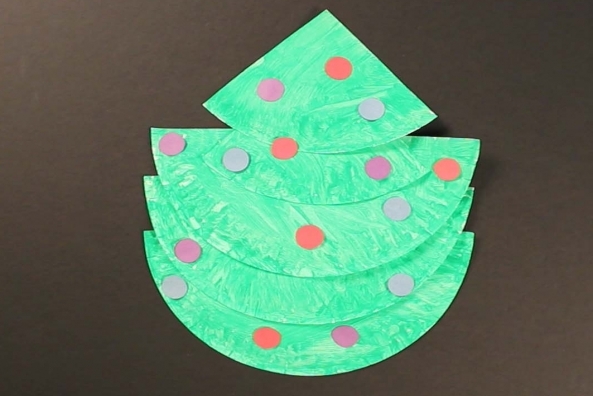 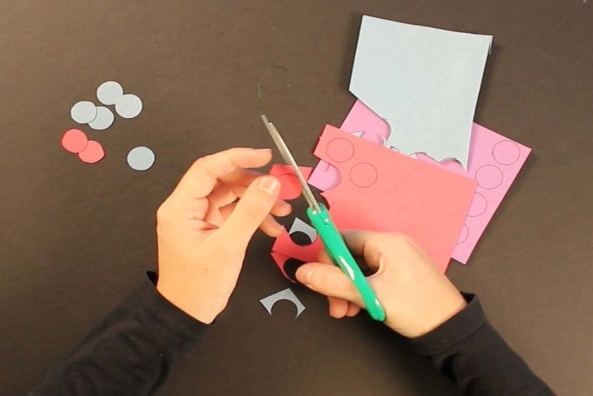 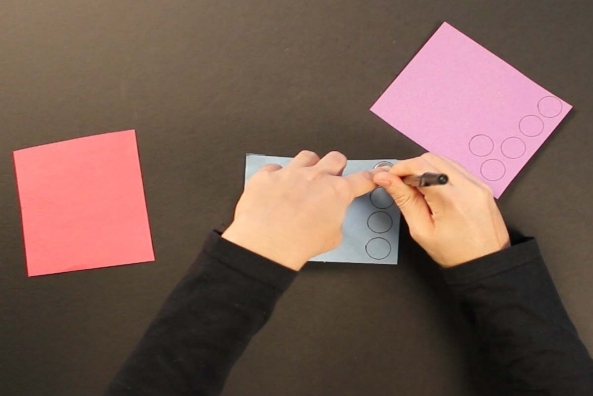 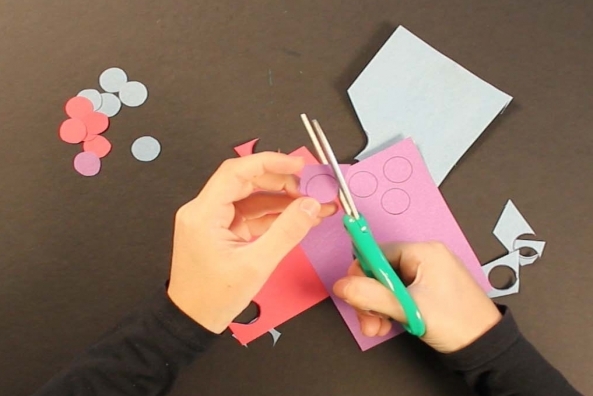 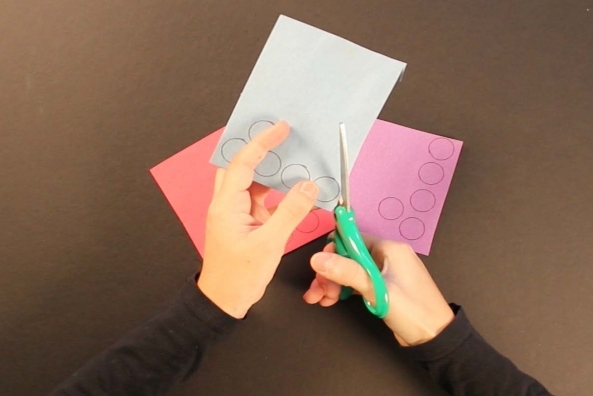 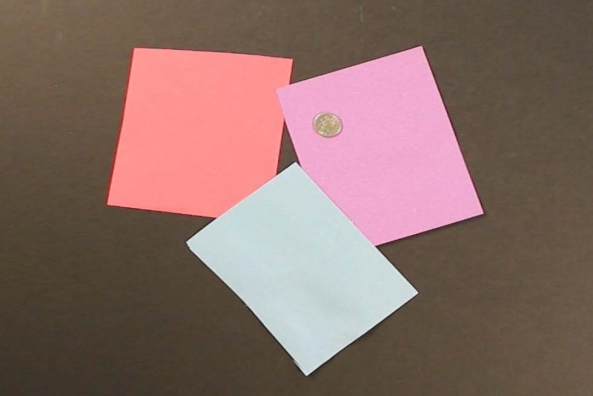 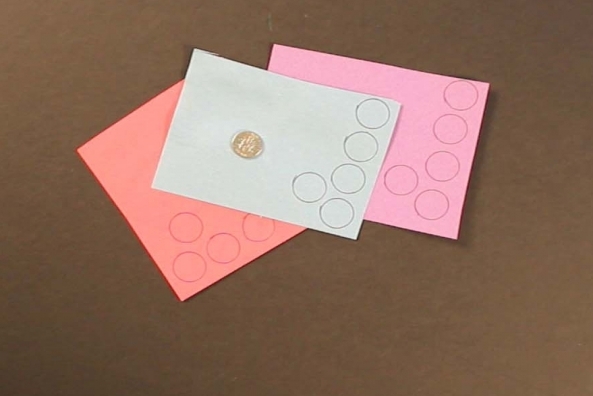 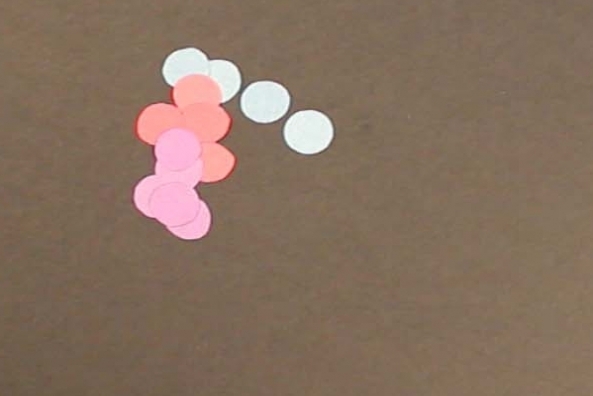 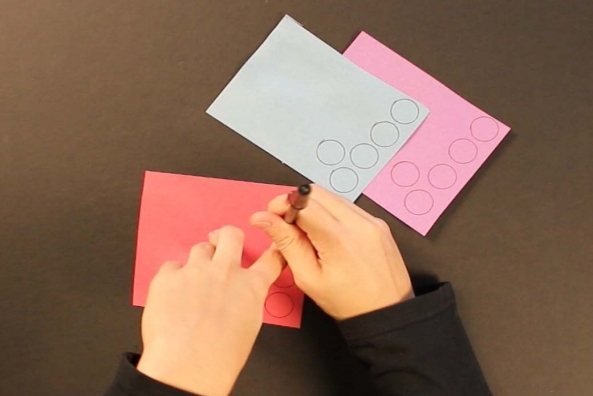 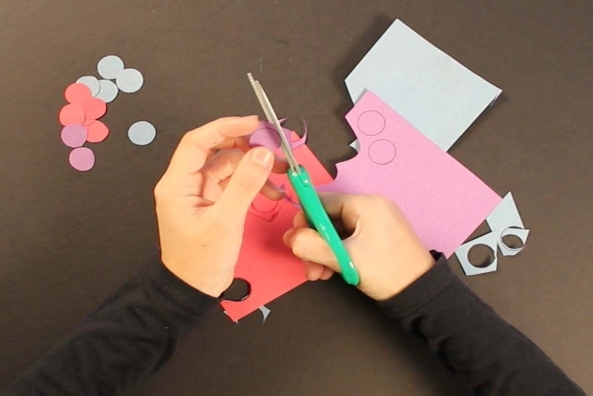 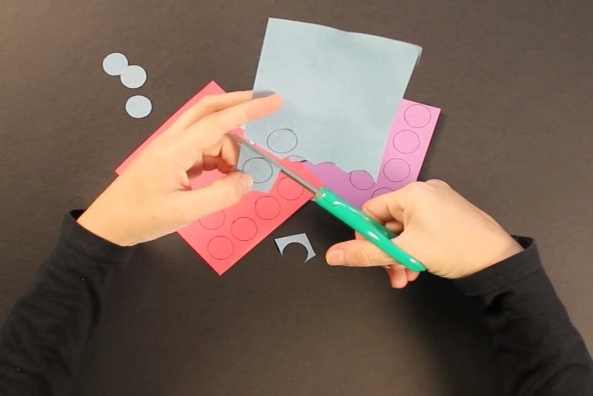 Trace a dime many times on different colors of construction paper to make ornaments. 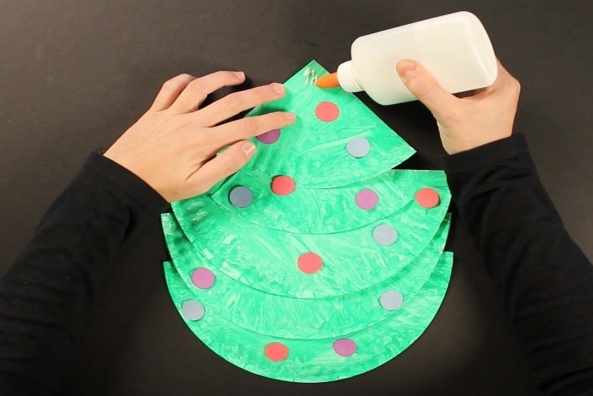 Glue the circles onto your green tree. 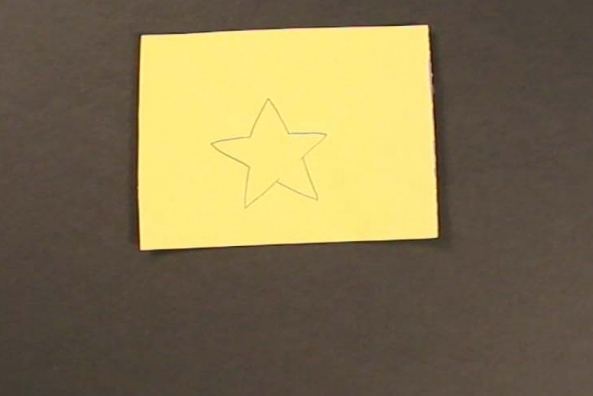 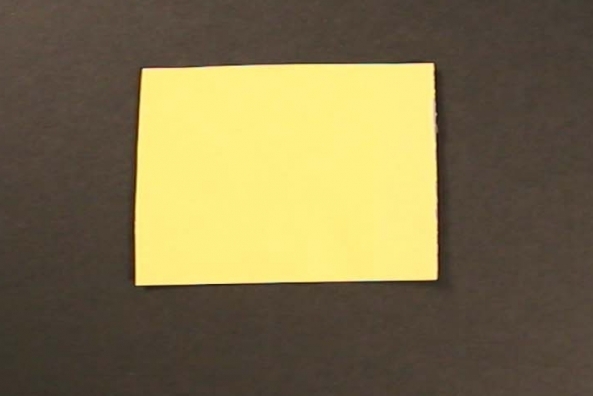 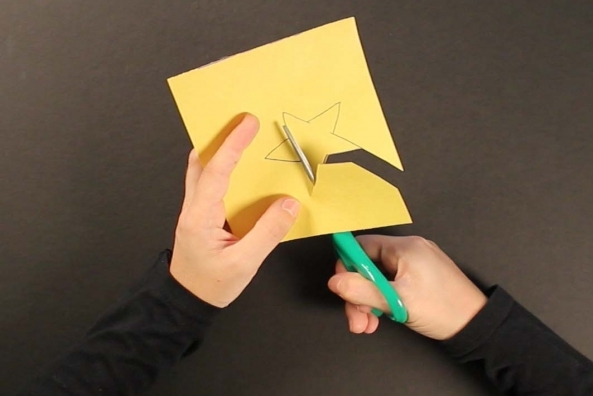 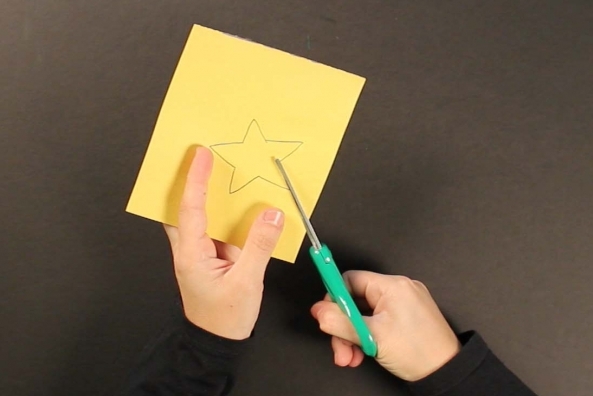 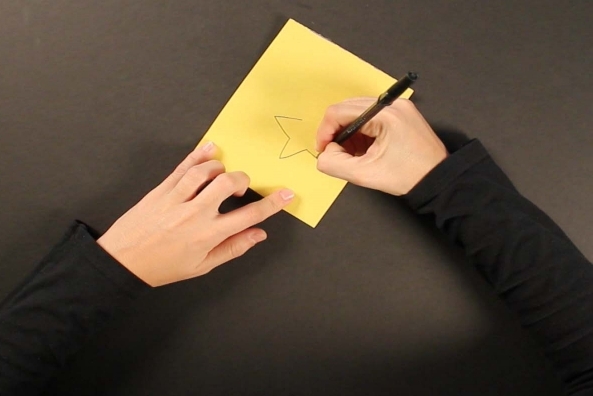 Draw a star on a piece of yellow construction paper. 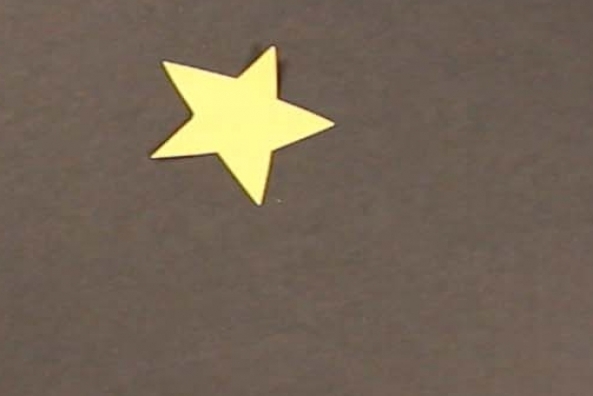 Cut out the star from the yellow construction paper. 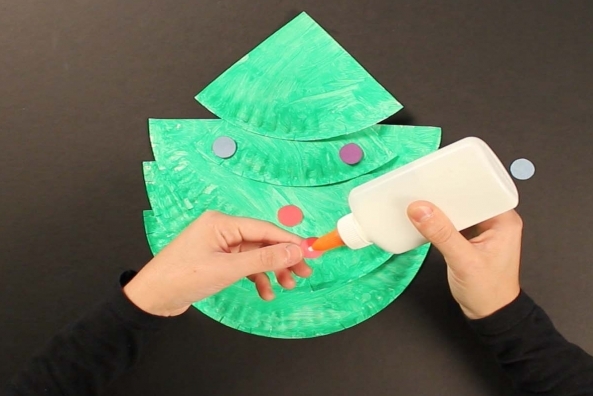 Glue the star onto the top of your tree. 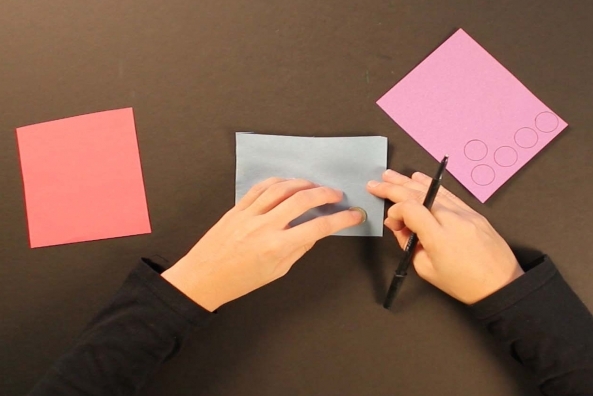 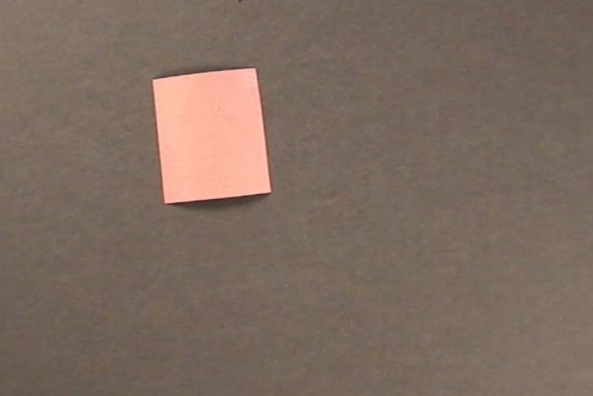 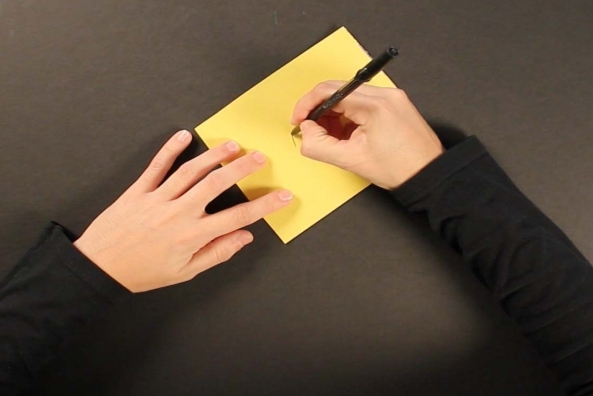 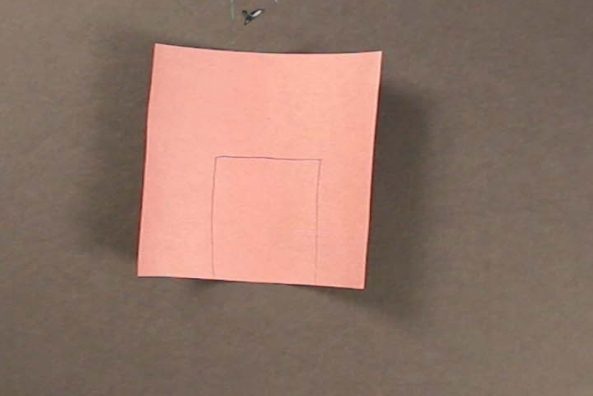 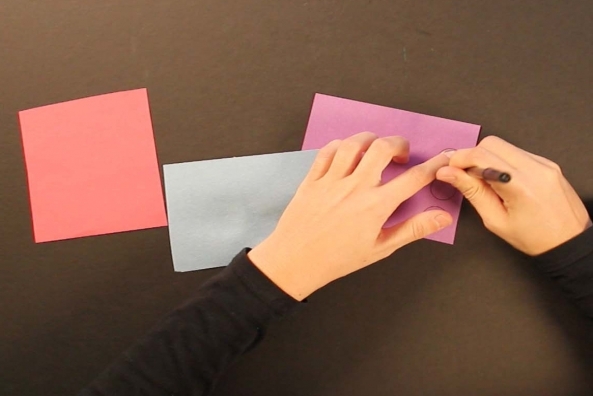 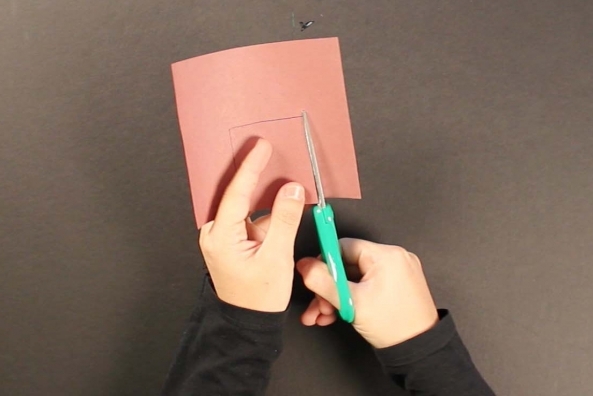 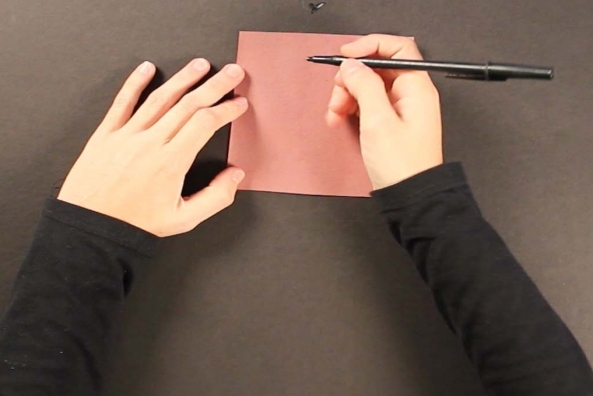 Draw a rectangle on a piece of brown construction paper. 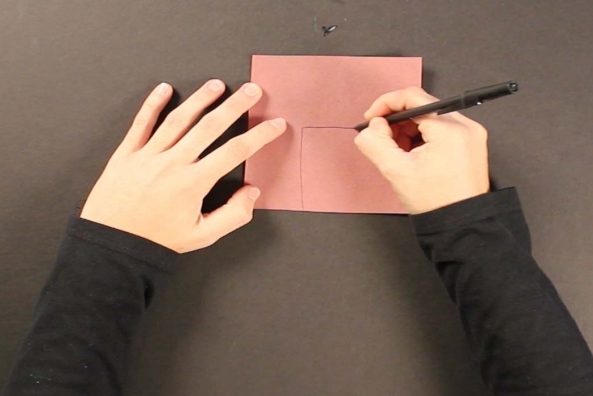 Cut out the rectangle. 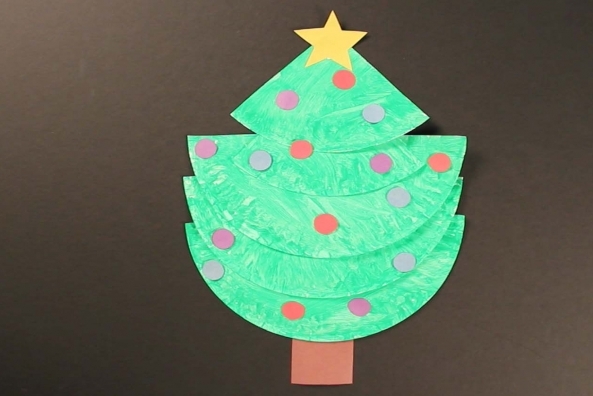 This is your tree’s trunk! 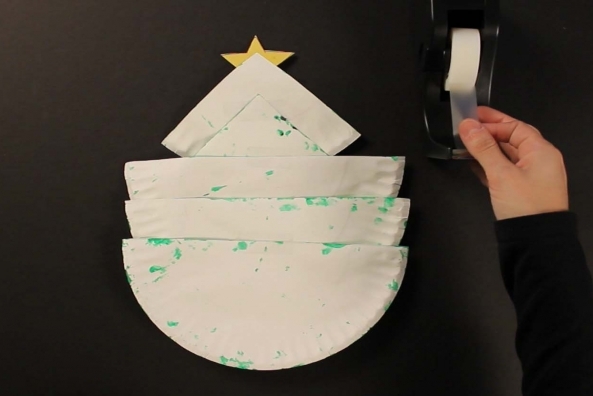 Tape the trunk onto the bottom of your tree.